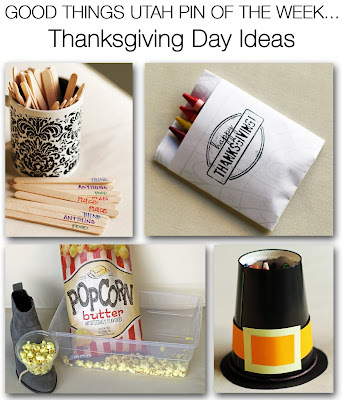 Shyloh Belnap: Thanksgiving Day Ideas! 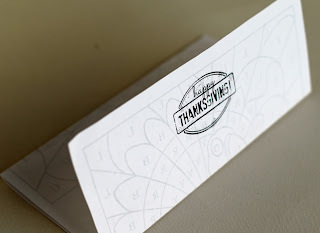 Thanksgiving is such a great way to gather with family and friends for delicious food and great company. Sometimes, it is hard to keep the little ones entertained. Here are a few great ideas to help with those moments when they might get bored. Use this original pin to print out a cute Thanksgiving “Stamp” on the paper. Pull up the bottom of the paper, so there is now a “pocket.” You will see the cute Thanksgiving stamp you printed on the front. 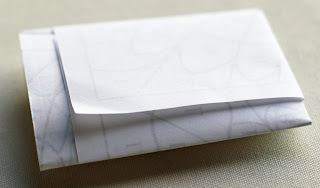 Fold both sides back and then tuck one side into the other. Stick with your crayons, and you have a fun little “activity pack”! Cut the bottom out of the cup using a craft knife. Glue a black circle slightly larger than the opening to the top of the cup. 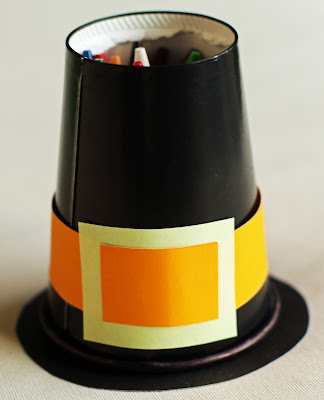 Cut out a yellow piece of paper, put some brown on top of it (as shown on my blog or the original pin) and glue it to the front for the buckle. 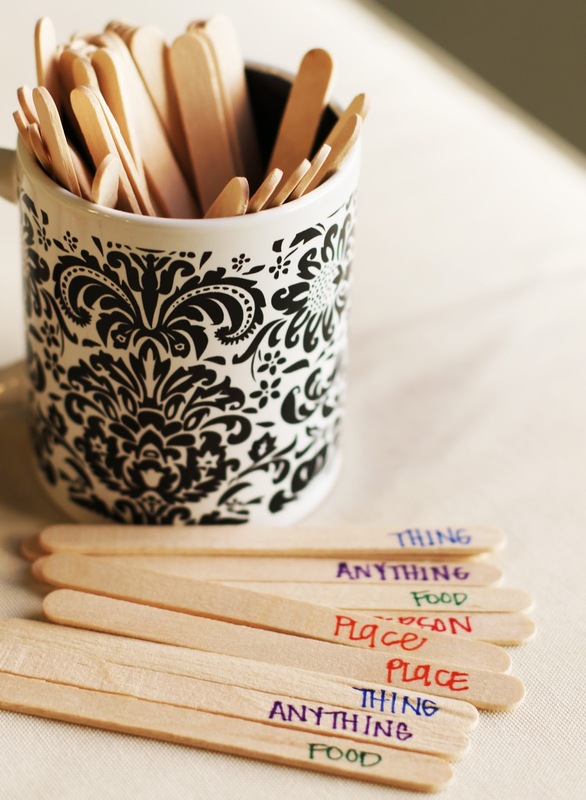 Now you have a cute table setting that can also entertain the kids! 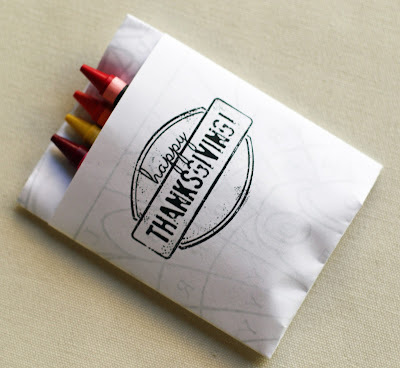 Consider using butcher paper on the kid's table so kids can just color when they get bored! The original pin is here. I loved the idea of this pin but I did change it a little bit! 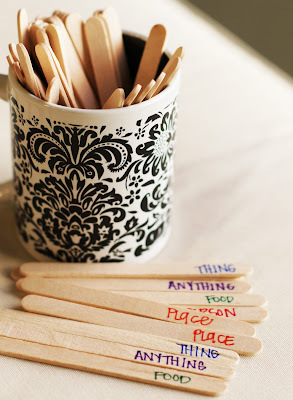 I used Sharpie Markers to write categories of things you could be grateful for on the end of these popsicles sticks. Then, I put them face down in my container. Each person can then draw out a stick and name things they are grateful for according to the stick that they drew! You will need to make “shoe cups” for each person. You'll need a pair of these for each team. 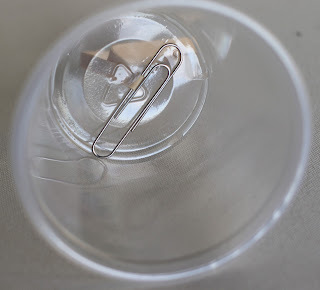 I used a knife to poke a small hole in the bottom of a plastic cup. 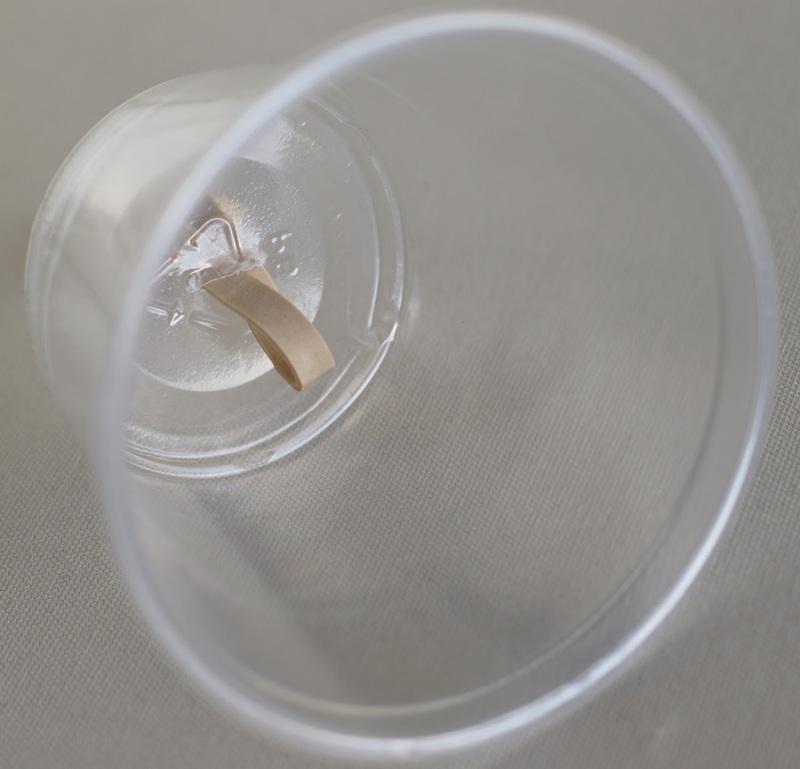 Push a wide rubber band through the hole. 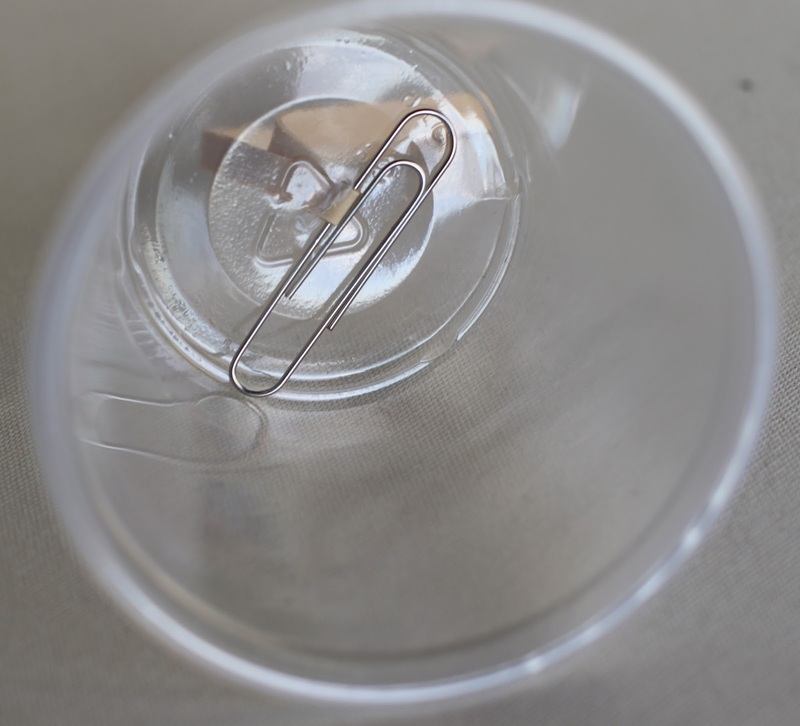 Thread a paper clip onto the band inside the cup pull on the other end of the band. 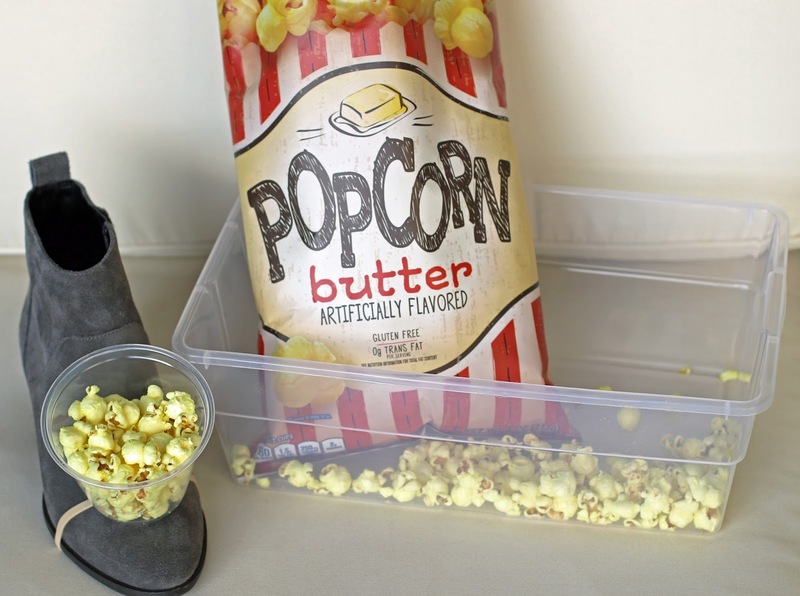 Divide your group into teams and give each team a large bag of plain popcorn and two shoe cups. The first runner on each team slips the cups over his shoes and fills them with popcorn. At "Go," the players make their way across the lawn, empty their popcorn into a box, and run back to the start. The next teammate in line slips on the cups and does the same. The relay continues until one of the bags is empty. The team with the most popcorn is the winner.